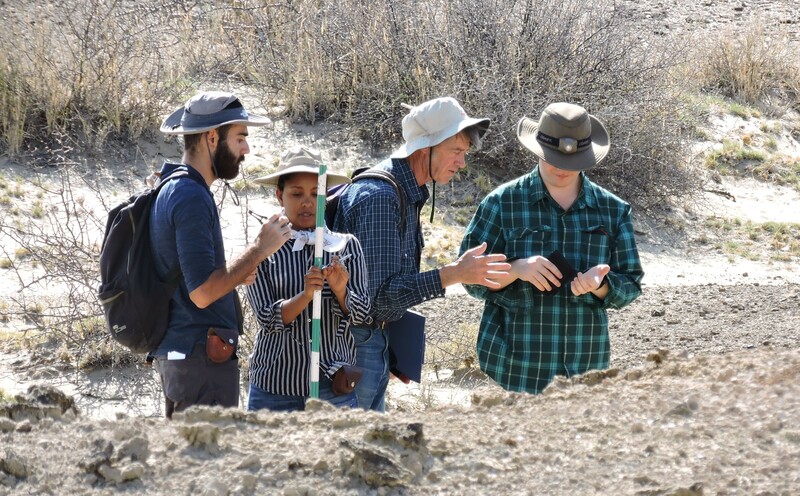 As the field school comes close to its end, students finally had the opportunity to experience how different pieces of information can be put together to tell a compelling story of human history. And we do it the TBI style: in the field! 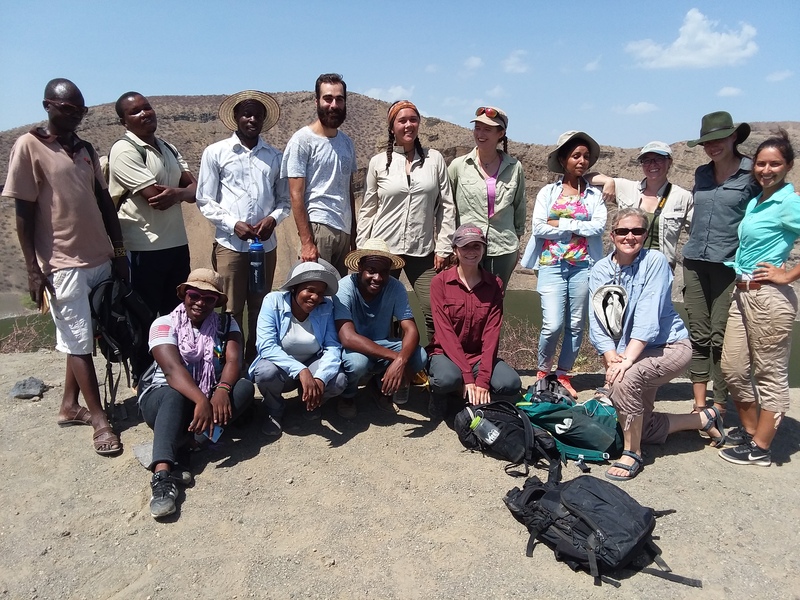 Equipped with all kinds of digging tools ranging from trowels to buckets, our team headed to a recently found archaeological site near the Turkwel river. 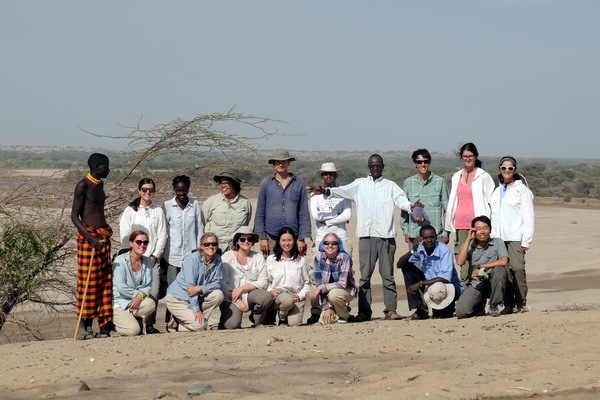 Professor Lisa Hildebrand from Stony Brook University led the excavation. 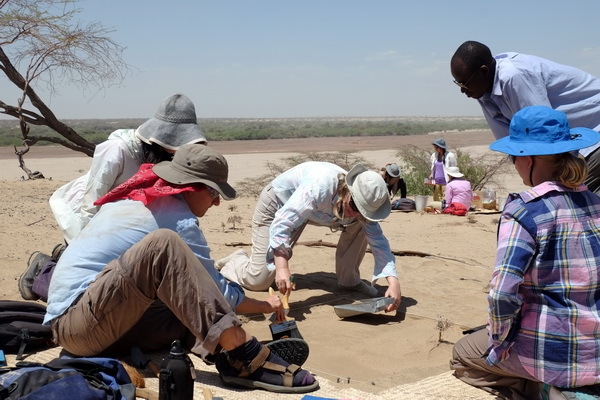 This archaeological site is dated around the middle Holocene, during which multiple human dispersal events occurred along the East African Great Rift Valley. The purpose of this investigation is to try to identify how different cultures moved around with people. A serious excavation involves a lot of planning. 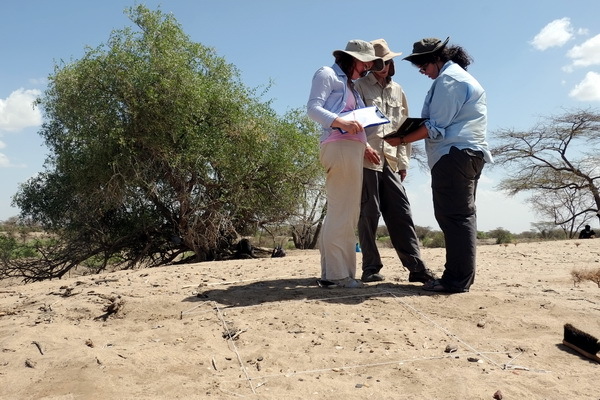 It is typical for an archaeological project to span several years, if not several decades. 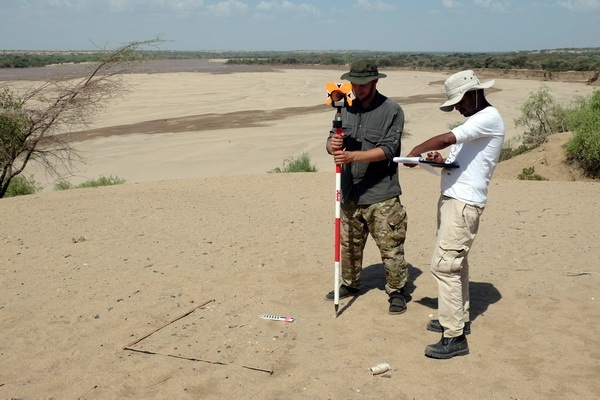 Because most archeological sites are quite vast, it is sensible to do test trenches and squares, to figure out what lies underneath the surface. 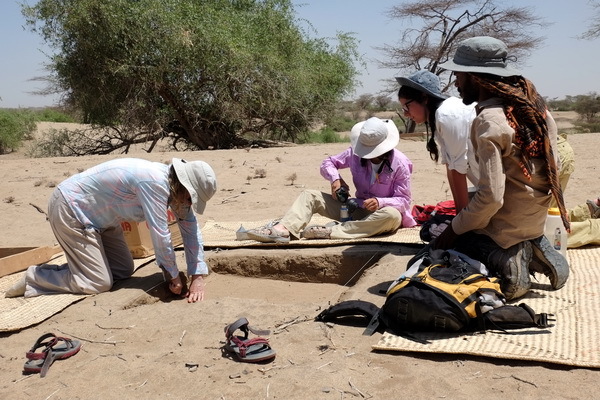 Professor Hildebrand and Field School residential director Hilary Duke visited the field site beforehand, and selected several areas for our test excavation. Students were then divided into different groups and each was responsible for one test square. 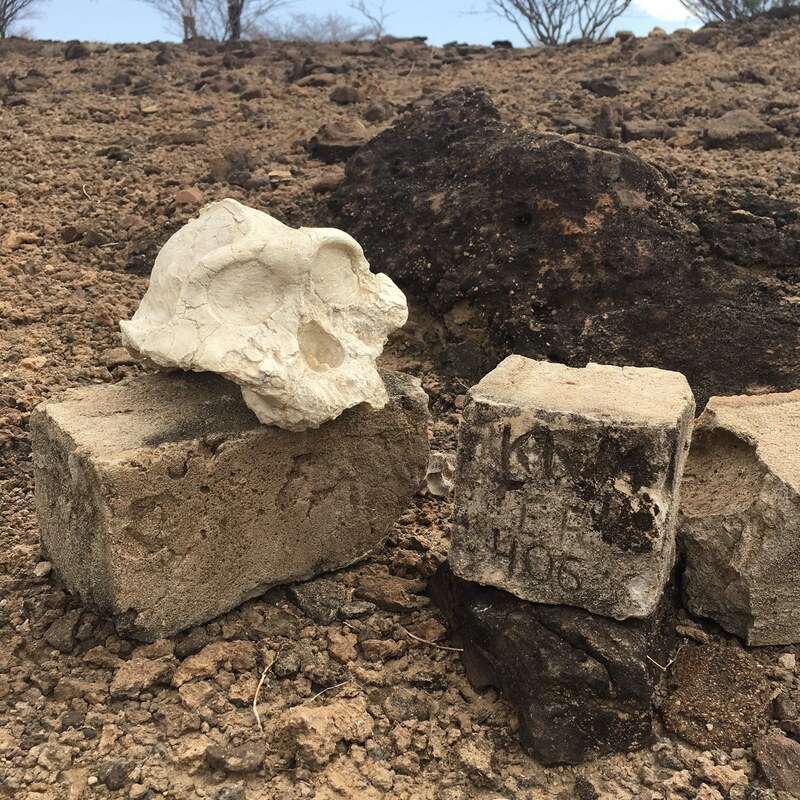 When we arrived at the site, the selected squares were littered with small artifacts such as stone tools, ostrich shell beads and pottery fragments. So the first thing we wanted to do was to locate and collect every single piece from the ground. For a serious digging, we need serious equipment. 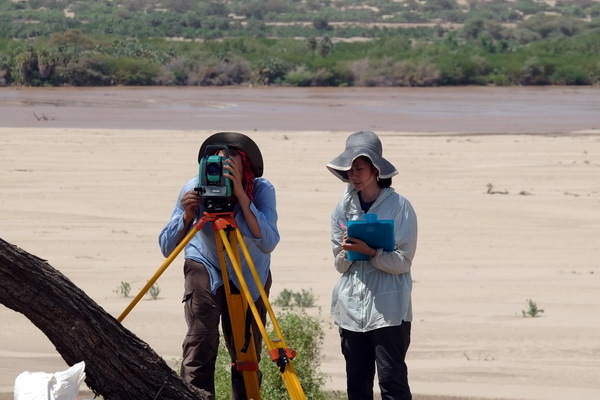 Our students had the chance to use a total station, an instrument that can measure the exact position of any artifact at the site. 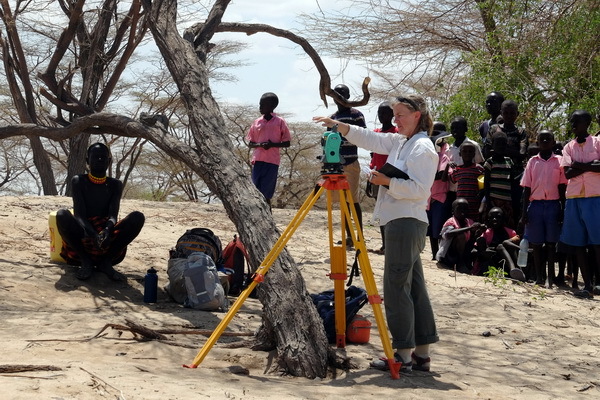 The total station consists of two parts: the “camera” that shoots a beam of laser, and a stadia rod with a prism at the top, which reflects the laser beam back to the “camera”. Then the computer in the total station can calculate how far and at what angle the artifact is relative to the “camera”. Although operating the total station can be a bit technical sometimes, the students seemed to have grasped it very well. After clearing the surface finds, we proceeded with the test excavation. The goal was to dig down vertically, record the position of each artifact and put it in a dedicated bag. 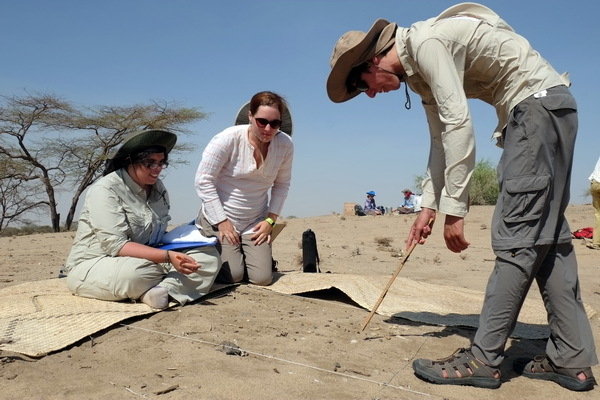 Again, our excavation required a lot of planning and attention to details. It was necessary to divide vertical dimension of the square into evenly spaced levels, each comprising of a manageable number of bones and artifacts. 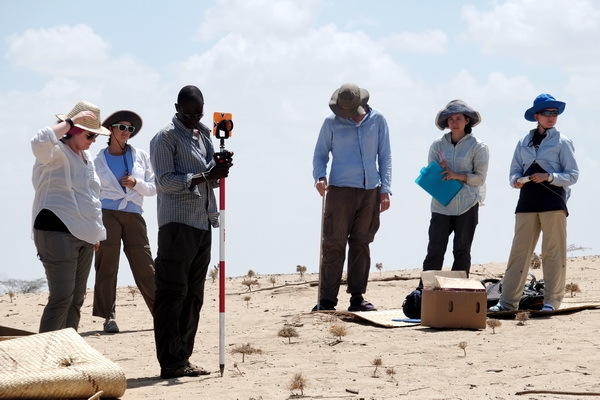 With the elaborate recording for all the artifacts and bone remains, archaeologists will be able to reconstruct where they were originally in the 3D space that has been excavated. 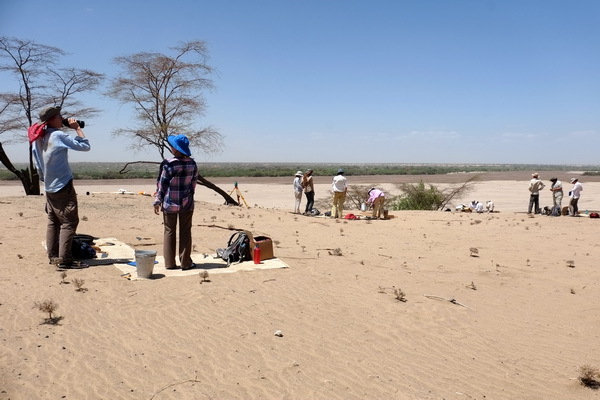 The type of remains present, their density and pattern of distribution can then be used to figure out possible human activities at the archaeological site. It is important to keep the walls straight! 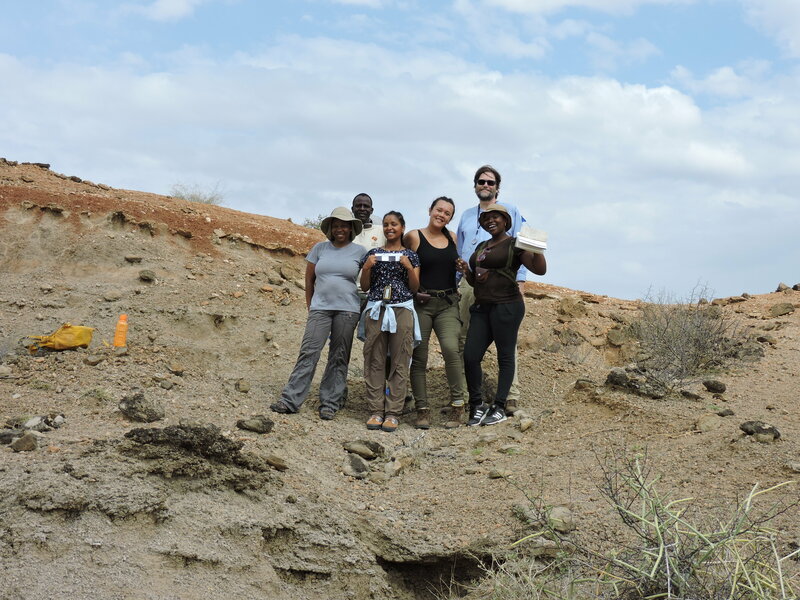 When all the scientists were excited about the excavation, the local people were also very curious! Starting in the afternoon, we were often surrounded by local students who just came back from their morning classes. It was such a scene for the kids to see! And perhaps an inspiration for some future archaeologists! 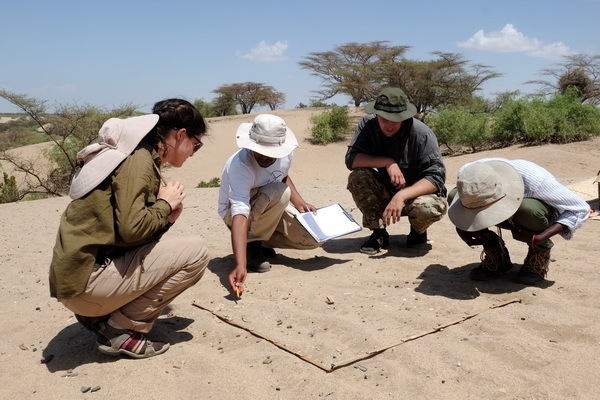 Through this three-day exercise, our field school students practiced their excavation and recording skills, and did an excellent job in recovering their first archaeological finds in the Turkana Basin. 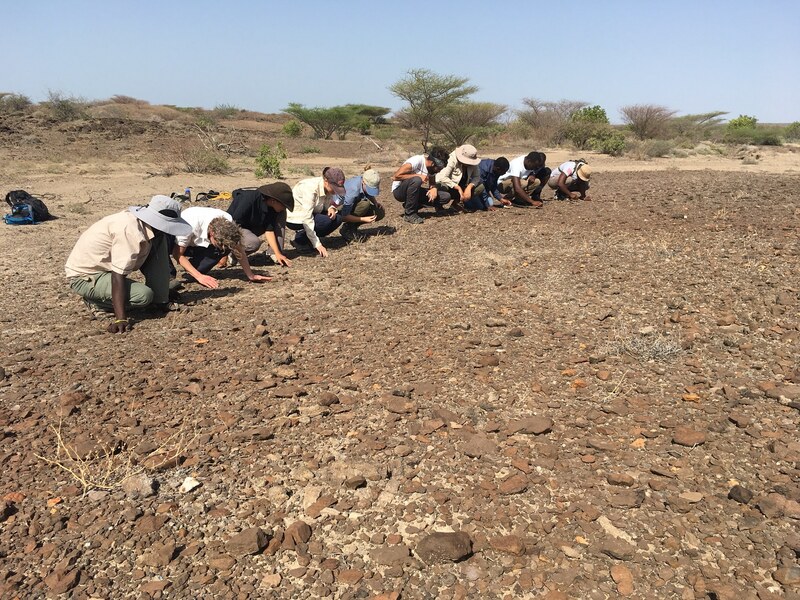 With the knowledge and skills that we learned from the previous modules, we were able to identify the type of sediment, animal remains, as well as various artifacts represented at the site. 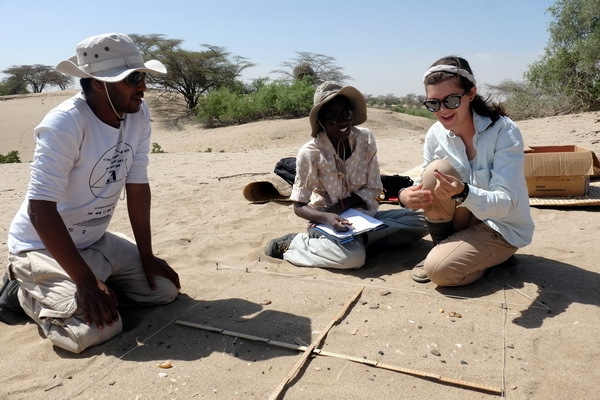 It was truly a first-hand experience in field archaeology! Stay tuned for the last bit of our adventures in Kenya!